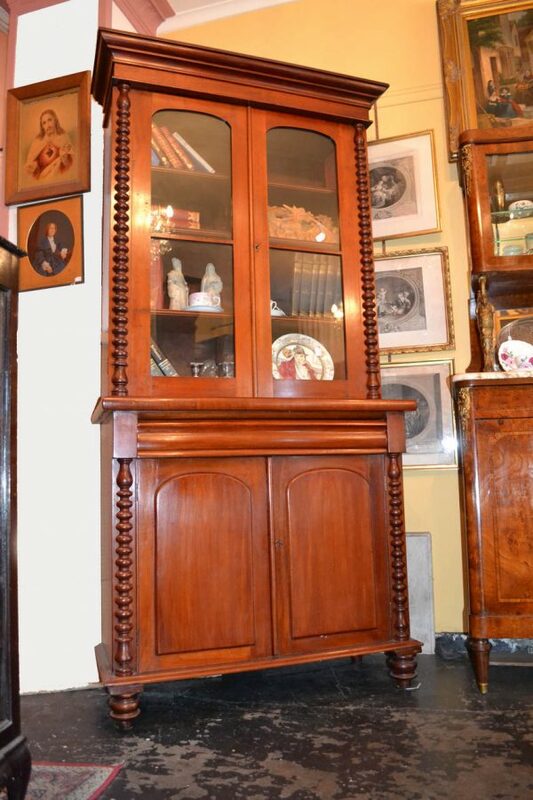 Home » Products » Australian cedar two sectional glazed bookcase circa 1870. Australian cedar two sectional glazed bookcase circa 1870. Australian cedar two sectional glazed bookcase circa 1870. Featuring a two door base with full length drawer flanked by full length half bobbin twist pillars. Supoorted on four elegantly turned feet with a matching two door bar glazed top section. Adjustable shelves. Excellent example from a large range of antique furniture now available at Melbourne’s best value for money antique shop.